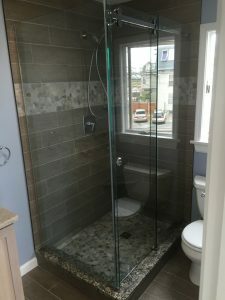 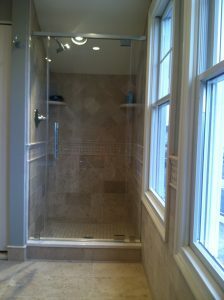 New England Glass Co. does all sorts of Shower and Tub Enclosures. 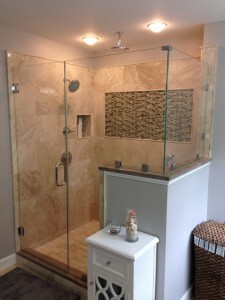 From fully-framed enclosures to 3/8″- or 1/2″- thick heavy glass frameless enclosures. 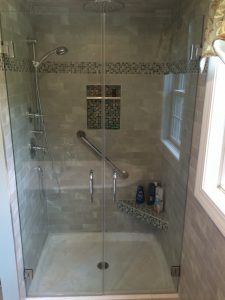 If you would like a quote on your Shower or Tub Enclosure, just drop us a line by email or give us a call at 860-887-1649. 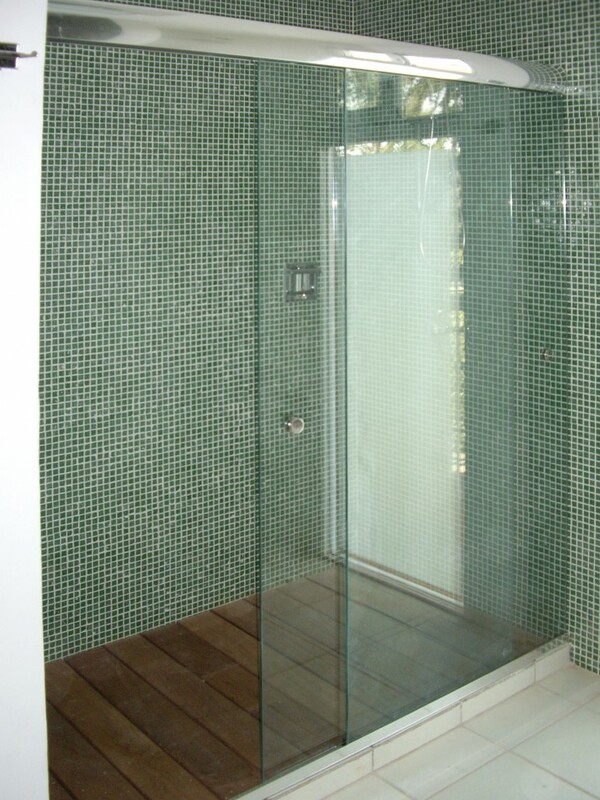 We design, measure and install. 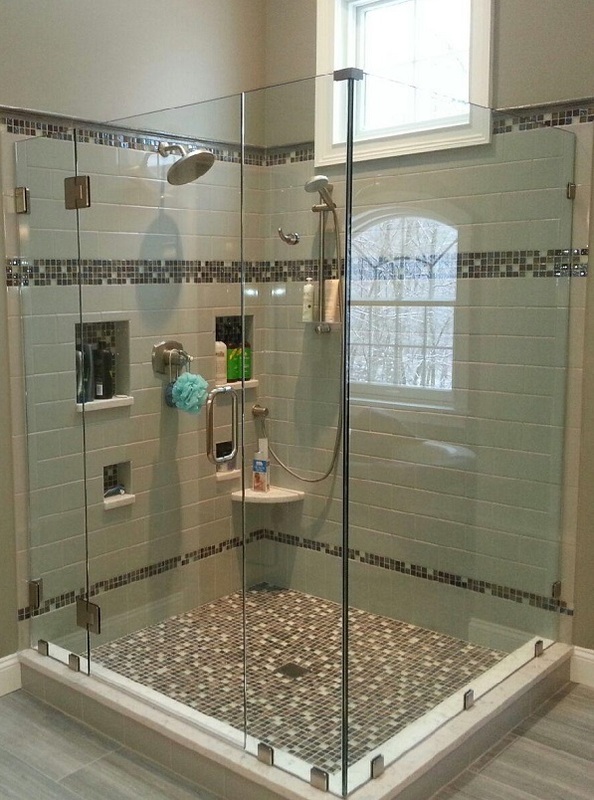 Let the experts at New England Glass help you with your next shower enclosure. 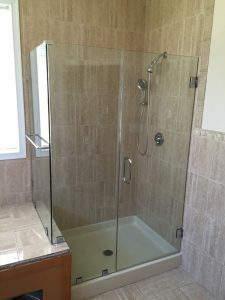 Click here for 5 shower installation design tips! 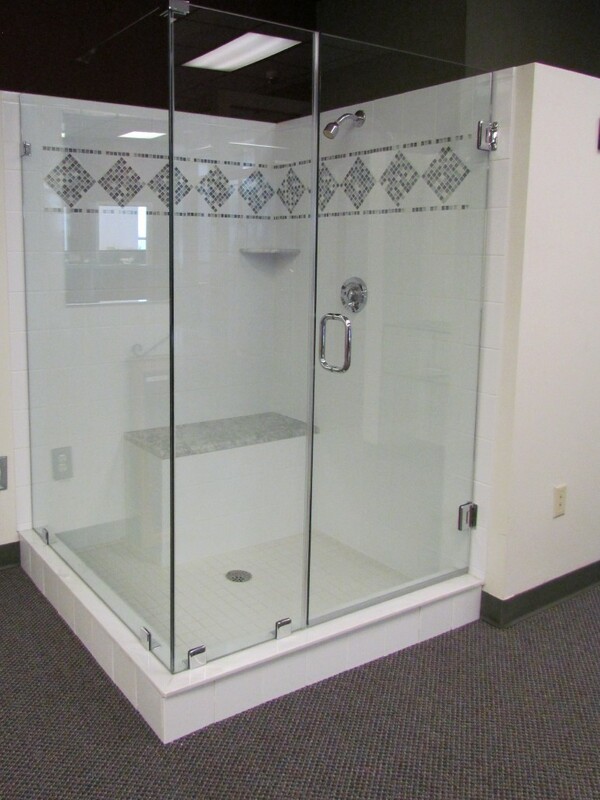 In our showroom we have a 3/8″ clear heavy glass shower enclosure. Made up of a door and panel with a side return panel. 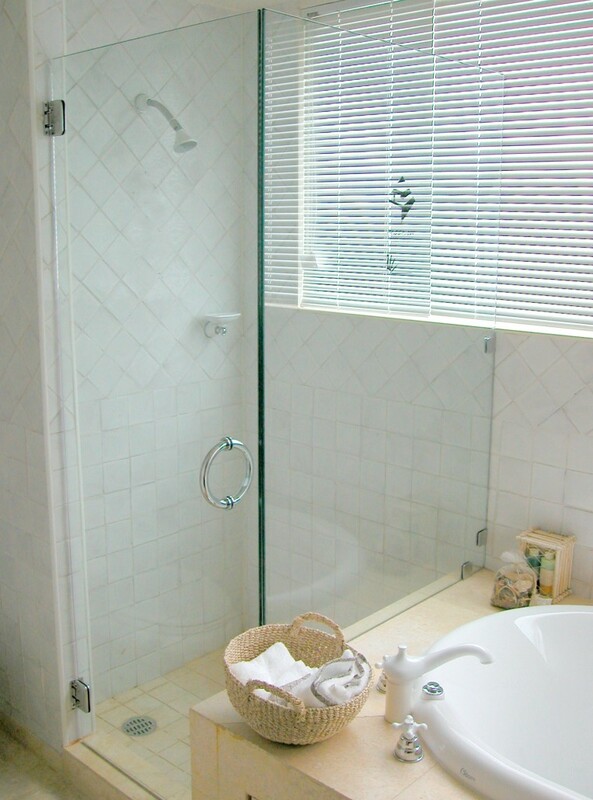 The shower is coated with a clear shield on the inside of the glass that shields against water staining. 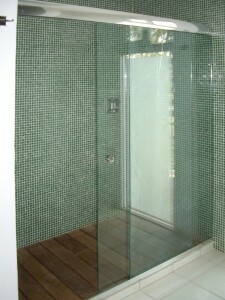 This coating is baked into the glass and is not an applied film. Please come in and visit us to learn more! 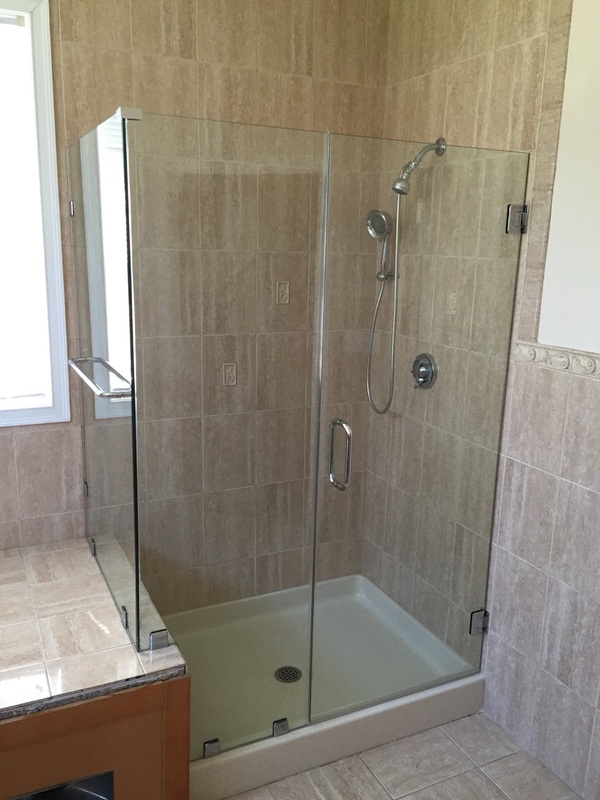 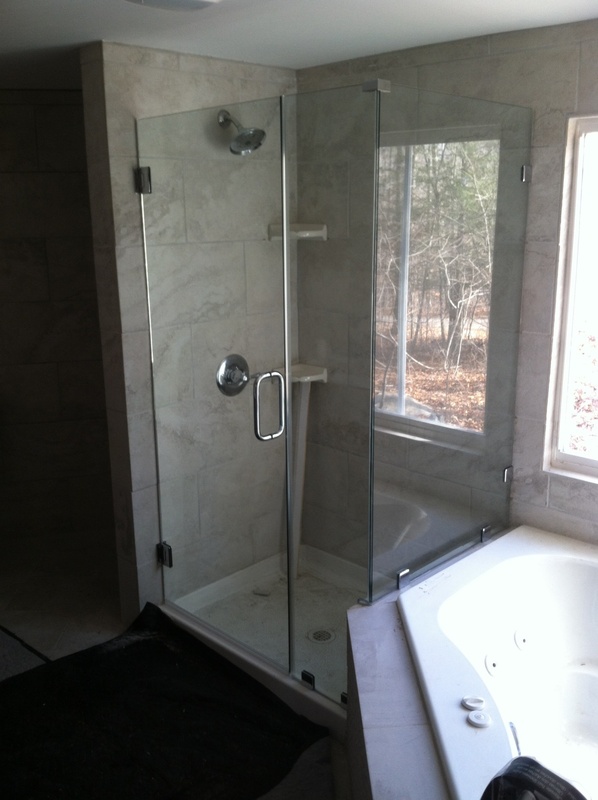 3/8″ Clear heavy glass shower, door and notched panel with a 90° side return panel. 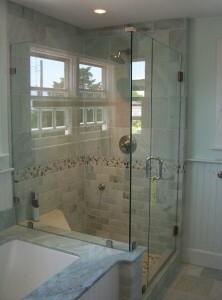 Heavy glass shower enclosure consisting of a door and 90° panel using CRL hardware. Heavy glass sliding door shower enclosure. 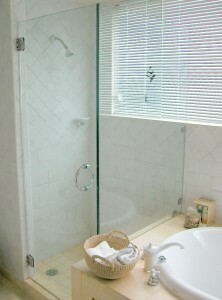 1/2″ Satin on clear tempered glass enclosure. 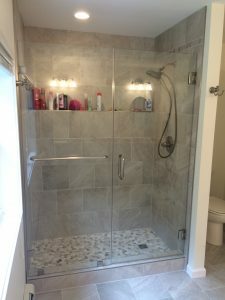 Door is 3/8″ thick to keep the weight down. This enclosure consists of a fixed panel, door hinged left, another panel and a 90° return panel. 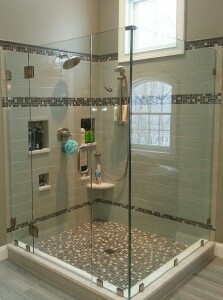 All glass is treated for easy cleaning and to prevent water staining. 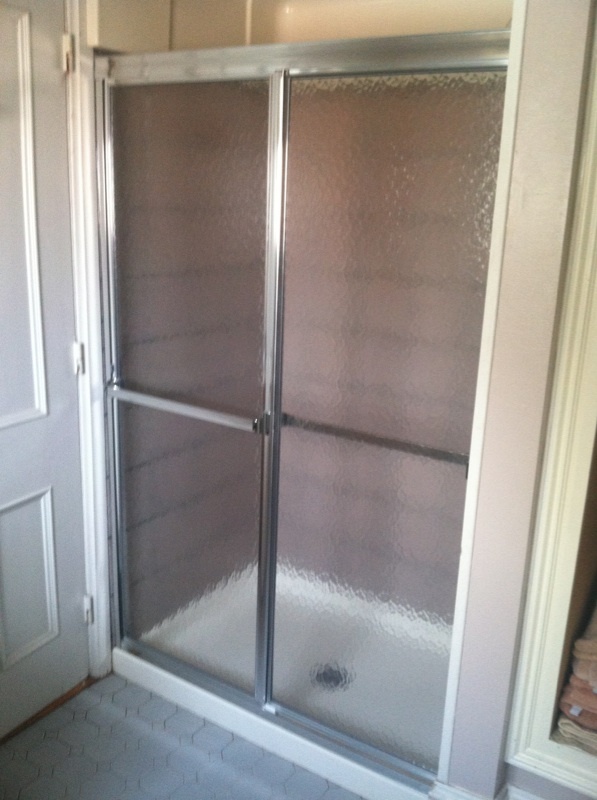 Fully framed sliding shower enclosure with aquatex textures 1/4″ glass and chrome finish.